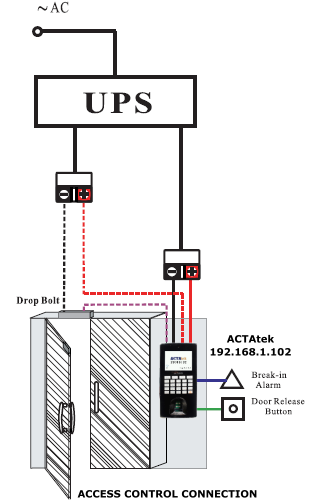 This fail-safe Electromagnetic Lock design with no mechanical parts but magnetic force to secure and release the doors, suitable for use in areas which required access controlled or egress such as exit door.This EM lock had been tested by ACTAtek and you may purchase it as a whole sales package. We offer up to 800 pounds holding force with jumper pin selectable for 12V or 24V DC dual input voltage and can be applied with access control, and with the full range of optional brackets, it can be installed on all type of door frames such as Hollow, Wooden and frameless glass door. It is the best choice for electronic security industry and system integrators. 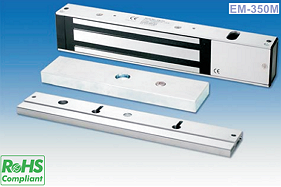 More optional functions are available in EM-350 midi electromagnetic lock series. Offers up to 800 LBS Holding Force. Full range optional brackets available. Adjustable mounting plate for easy installation. lock or unlock status. (N.C. Output--Door opened; N.O.